Is your cluttered Windows desktop getting you down? Want an easy way to organize all your icons, a revamped desktop theme, or even a new look for your mouse pointer? You’re just a right-click away from getting your desktop icons in order. You can set Windows to automatically sort all your desktop items by name, size, type, or date modified. Just right-click the desktop, select “Sort by,” then pick an option. Also, try this: right-click the desktop again, select “View,” then “Align icons to grid” to keep all your desktop items in nice, neat rows and columns. 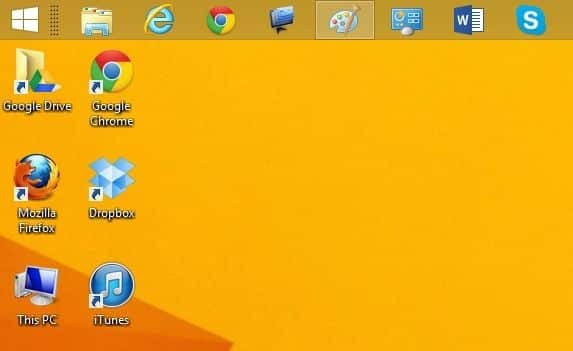 Just like on the Mac, you can resize the icons that sit on your Windows 7 desktop. Unlike the Mac, though (which boasts a slider that lets you customize your icon size down to the pixel), Windows gives you only three choices: Large, Medium, and Small. Want to make your desktop items bigger—or smaller? No problem. To get started, right-click on the desktop, select “View” from the menu that appears, and then make your selection. You spend all day staring at your mouse pointer, so why not give it a fresh coat of digital paint? Tired of looking at the same-old mouse pointer? You can give it a new look in the Mouse Properties window. Right-click the desktop yet again, select “Personalize,” then click the “Change mouse pointers” link in the upper-left corner of the Personalization window. 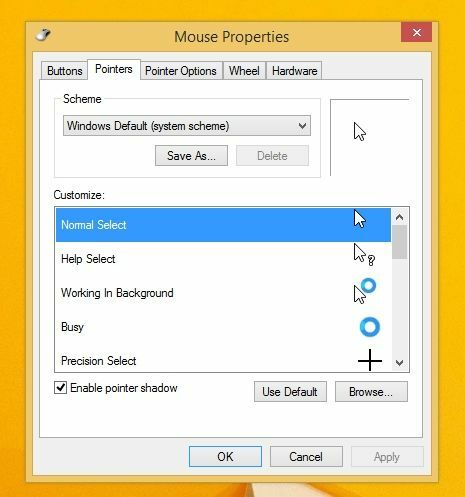 You can change the appearance of more than a dozen mouse pointer “states” (from “Normal Select” to the spinny “Working in Background” animation) in the “Customize” section, and you can choose from a dozen different cursor themes in the “Scheme” pull-down menu. You know the familiar Windows taskbar—you know, the one that sits at the bottom of the screen? It doesn’t really have to be there. You can move the taskbar to either side of the screen or even at the top, and you can even set it to hide itself until you really need it. Just right-click the taskbar, then make sure the “Lock the taskbar” option is unchecked. You can drag the Windows taskbar to the right or left side of the screen—or even to the top, if you wish. Now, click and hold the taskbar, and drag it to the left side of the screen, the right side, or up to the top, and it’ll snap into place. To keep the taskbar hidden until you need it, right-click the taskbar, select Properties, click the Taskbar tab, check the “Auto-hide the taskbar” option, then click the “Apply” button. When you do, the taskbar will disappear from the desktop. Need the taskbar again? Just move your mouse to the side of the screen where the taskbar lives, and it’ll slide back into view. OK, you’ve made a few cosmetic tweaks to your Windows desktop—now how about something a little more radical? If you’re really in the mood for change, you can pick an all-new desktop theme, complete with custom wallpaper (or even background slideshows), plus matching color schemes and system sounds. Right-click the desktop, select “Personalize,” then go ahead and choose a new theme (from the new-age Architecture to the old-school Windows Classic and “High Contrast” themes), or create your own my mixing and matching different backgrounds, colors, and sounds. You can also download additional themes from Microsoft right here.